AS GOOD AS IT GETS!!! Issued from 1909-11 by the Colgan Gum Company, these discs were inserted in 5 cent tins of Colgan's Mints. 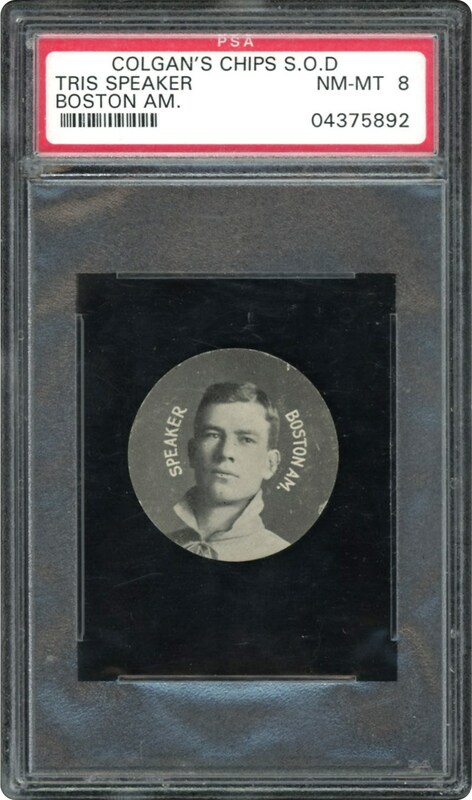 Over 225 discs in the set, this one is of Hall of Famer, Tris Speaker. The S.O.D. 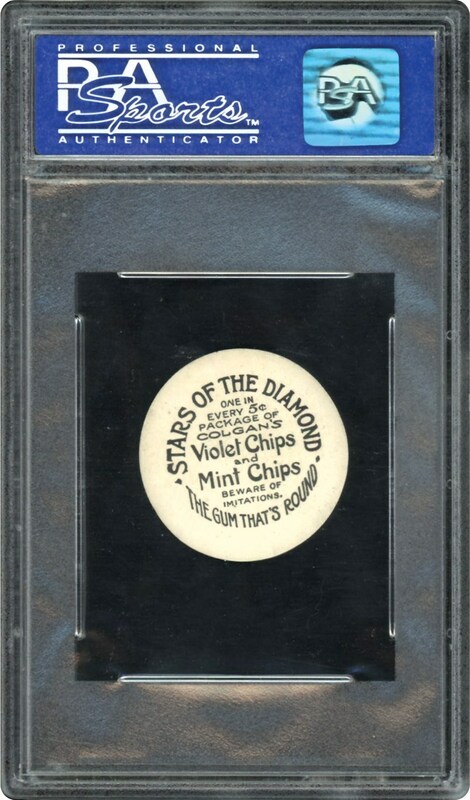 designation on the flip of the PSA holder means "Stars of the Diamond". This pop 3 disc of Tris is the highest graded example out of 12 ever graded by PSA. Get this ultra RARE "Grey Eagle".